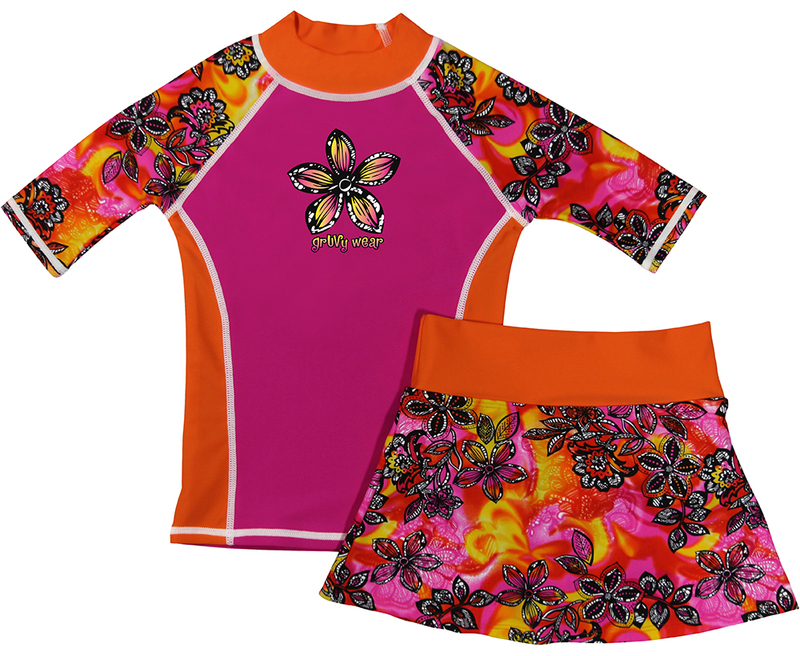 Ba da da da da da da feelin grUVy… This pink petals rashguard and matching swimskirt will guarantee she is pool ready and fashionably UV protected. Our unique design, fashioned with quality fabric, is both stylish and functional for any beachfront or poolside activity. Girls go crazy for our UV protective swimskirt with built in bikini. Our unique foldover waistband can be worn up or down, which provides a comfortable and chic alternative to your ordinary swim bottom. With a comfortable helenca lining, this adorable UV skirt set will be the envy of all her friends.